A team of highly skilled individuals with demonstrated experience, willing to provide hi-tech Safety & Security Products. Pre-Engineered steel structure designed to provide you with lifelong durability, safety & very low cost of maintenance. Designed and developed to provide effective traffic control where other conventional barriers are unable to provide an adequate deterrent. 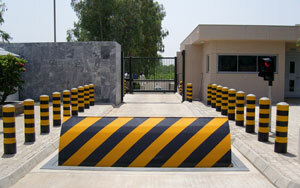 Economical high quality security products manufactured at International Standards. 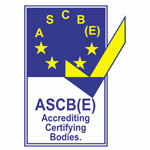 We provide high quality security products manufactured at International Standards. We fulfill our customers' needs through the efforts of highly motivated and trained employees dedicated to continuous improvements in quality, service, value and delivery. 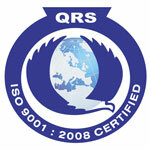 We have a proven record of accomplishment and are a reputable company in Pakistan. We ensure that all products are manufactured with utmost professionalism using quality materials while offering clients the support and accessibility. For us, honesty is the only policy and we strive to complete all projects with integrity, not just with our clients, but also our suppliers and contractors. With a lot of successful projects under our belt, we are one of the most trusted companies in Pakistan. We commit ourselves to provide all products within the timeline set with our clients. We use the best of technology and tools to ensure that all jobs are done quickly but also giving attention to details and ensuring everything is done correctly. Our mission is to provide the benefits of protection and safety to our customers and we attain this by manufacturing the highest quality safety protective gear in the industry. We seek our customers' trust, reliance and confidence for which we supply reliable products that protect and make our environment even better. We fulfill our customers' needs through the efforts of highly motivated and trained employees dedicated to continuous improvements in quality, service, value and delivery. 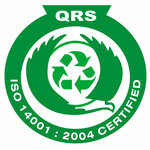 Your safety is our concern and we aim to secure what is our by providing only the best.